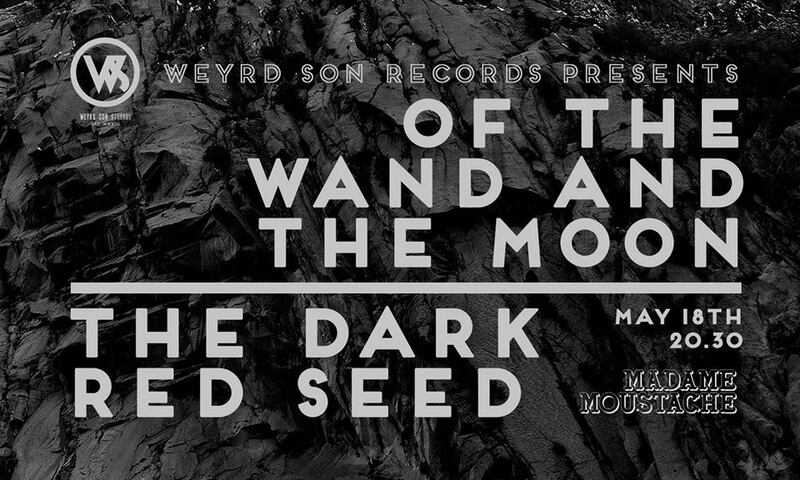 Of the Wand & the Moon are one of the big guns of contemporary neofolk. Arriving a generation after founders like Death in June, Sol Invictus, and Current 93, Of the Wand & the Moon have breathed new life into this beautiful and perennially misunderstood genre. OTWATM’s 2011 The Lone Descent LP is widely regarded as a neofolk masterpiece. Of The Wand & The Moon is the creative live and recorded music works of Danish musician Kim Larsen (not to be confused with the Danish folk singer by the same name) and various guest contributors. After irreconcilable differences with his previous musical project, Saturnus, Larsen began writing music of a different vein, similar in style to his neofolk influences but very different than the doom metal he had previously created. The Dark Red Seed is the musical outlet of Tosten Larson, guitarist for Seattle dark folk musician King Dude. A self-coined ‘metaphor for the heart’, The Dark Red Seed represents a direct reference to life – and death – itself. The duo, which also includes King Dude engineer Shawn Flemming, is now about to release its debut EP, “The Dark Red Seed Stands with Death”. Described as ‘a study of death’, “The Dark Red Seed Stands with Death” is a dark, dusty discourse on the departure and ultimate dissolution of life; a powerful expression of absolute loss shaped through Larson’s haunting, Cash-like delivery. Each of the EP’s three songs represents various aspects of death (the death of America, death of culture and death of reality through technology and globalization), drawing on deep feelings and unanswered questions to create living, breathing sound. Raised in Kalispell, Montana and currently based in Portland, Oregon, Tosten Larson began his classical instruction as a young boy sitting at his grandmother’s piano. Firmly rooted in thetraditions of American music, Larson’s sound is equally shaped by art rock such as Swans and Six Organs of Admittance, Eastern masters like Kayan Kalhor and Ravi Shankar, and hard rock staples such as Led Zeppelin and Neil Young. Though he wears his influences on his sleeve, his music attempts to defy category and carve its own path. The Dark Red Seed’s first full-length album, “Becomes Awake”, is already in the pipeline and tentatively scheduled for a summer 2018 release. The record is described as a detailed concept album that can be thought of as an answer or sequel to “Stands with Death”.